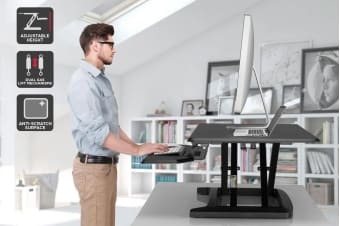 Ergonomically designed with your wellbeing in mind, this premium sit stand desk riser can be raised and lowered in seconds to help reduce muscle tension and increase workday productivity. 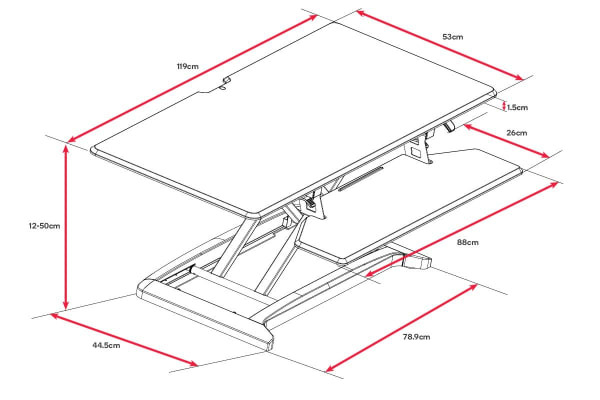 Unlike other sit stand desks that use only one gas lift, smoothly transition from sit to stand it seconds with the premium dual gas lift mechanism of the Ergolux DuoPro Height Adjustable Sit Stand Desk Riser. Fit two screens, mouse, keyboard and other office essentials with ease thanks to this ultra spacious design. 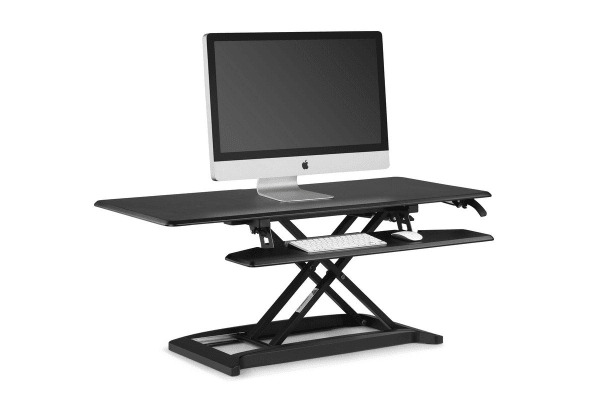 When it’s time to stand simply grab onto both levers and bring the desk up with you in just seconds! 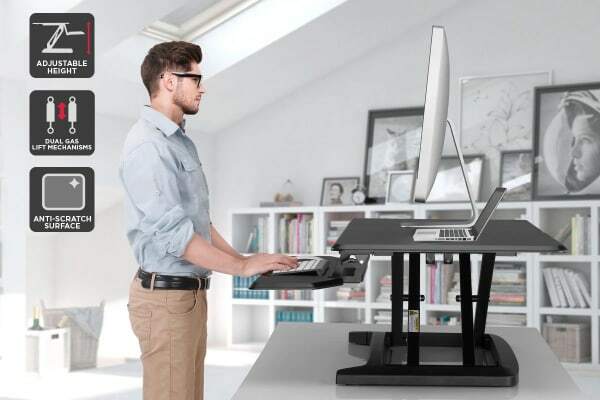 Compliment your sit stand desk with theErgolux Pro Standing Stool and Ultra-supportive Standing Mat, great for supporting your ankles and knees. Durable, strong and reliable Dual Gas Lift function.